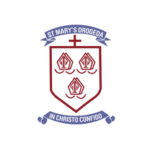 St Mary’s Diocesan School Drogheda are hosting their inaugural school fundraiser on Friday 12th April at 11.30am. All students are very welcome to attend this school fundraiser. Registration in St Mary’s Diocesan School only.